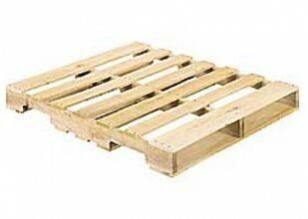 Strong, reusable hardwood pallets. Environmentally friendly because they are made from reconditioned, recycled materials. The safest choice for storage or shipping for a variety of products. Easily and safely move your product around your warehouse or around the world on durable wood pallets. We offer a variety of sizes and types to fit just about any job. Custom pallets are available upon request.